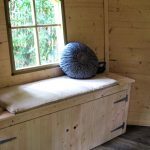 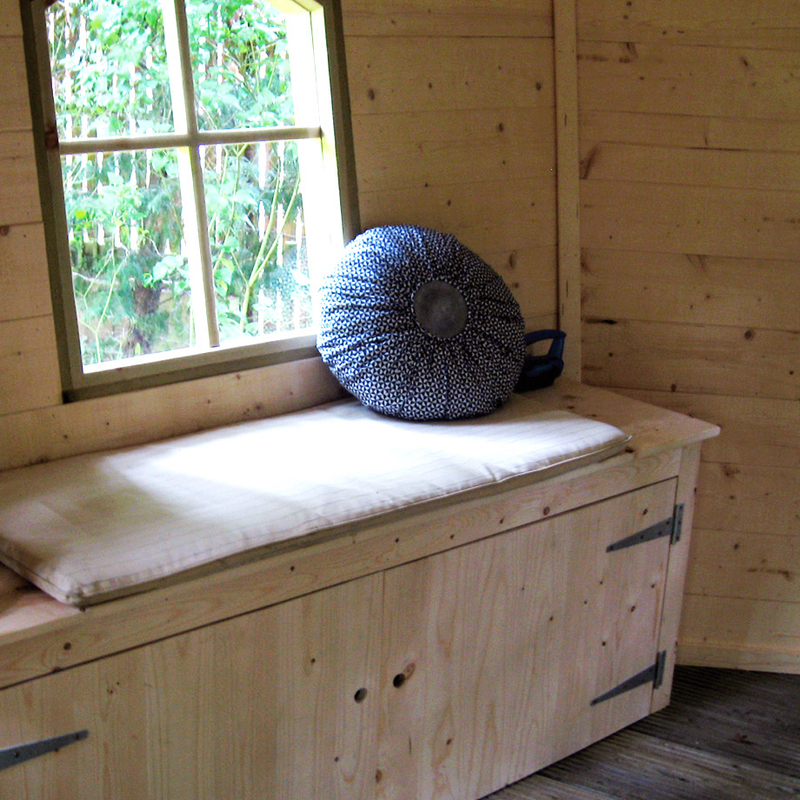 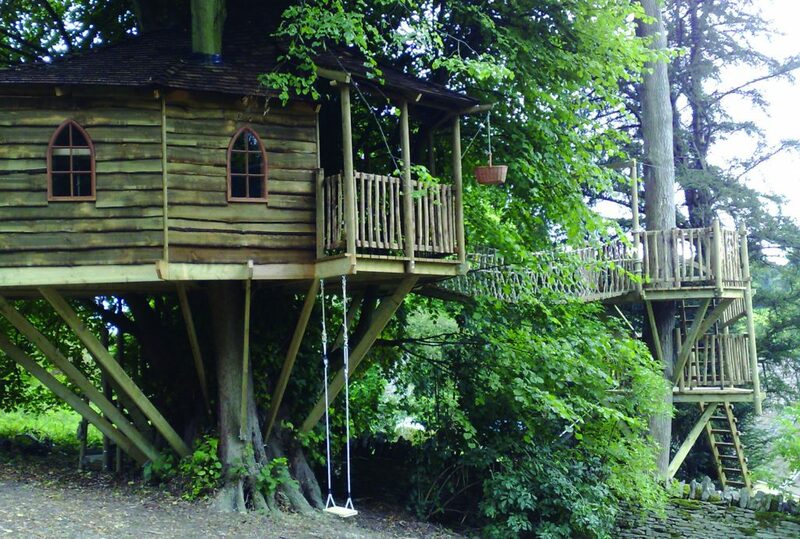 Set in a conservation area, tucked into the woodland behind the client’s listed building, this tree house was created to offer this outdoors loving family an alternative camping and adventure space. 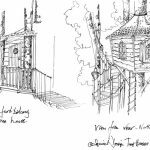 The family had been camping together for years and years, graduating from tent to yurt, and any other covered shelter possible. 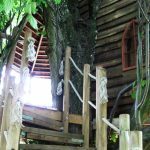 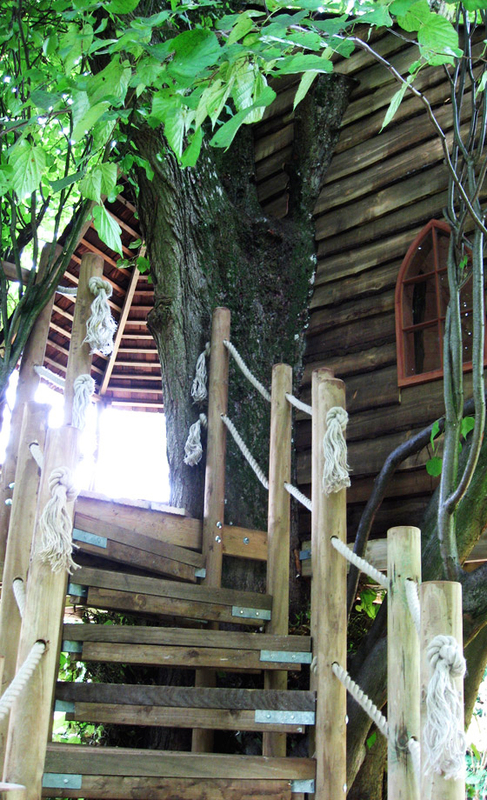 They came to us with a brief to create a tree house which they could all enjoy as an escape space, in which they could feasibly all camp out and which had adventurous features. 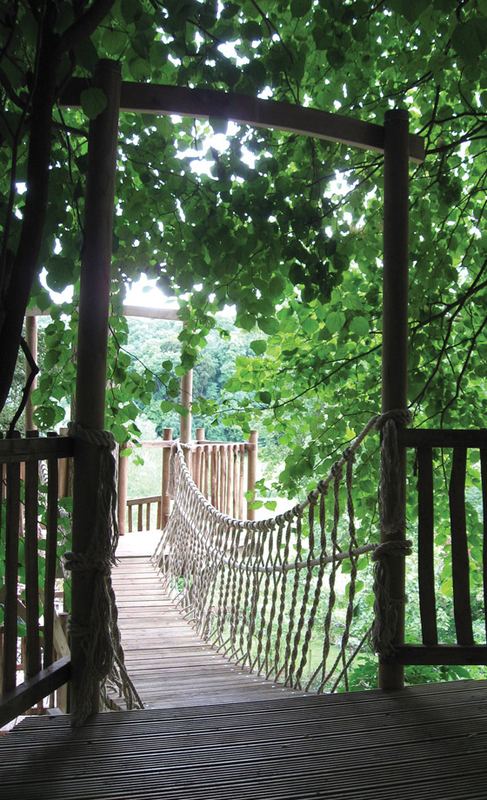 Sited in an absolutely stunning conservation area it required careful design and planning. 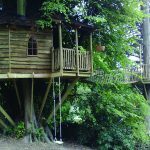 This project had to be designed to please not only the family but also the local council – planning permission was a necessity. 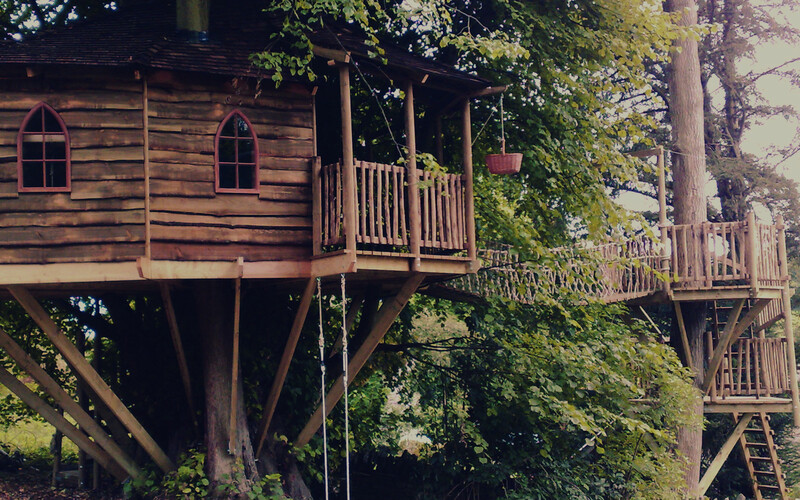 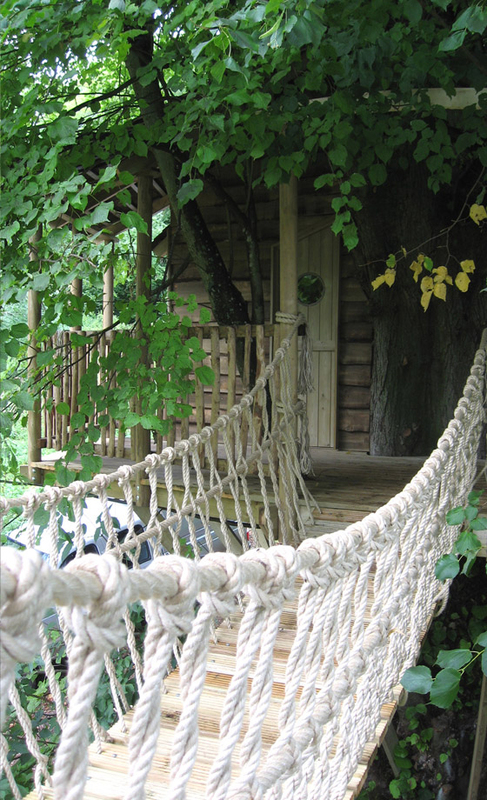 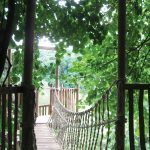 We achieved both of these with our subtle and sensitive design of a large main tree house with covered balcony – under the wonderful tree canopy – and carefully positioned rope walkway to another series of tree platforms with a steep, fast slide. 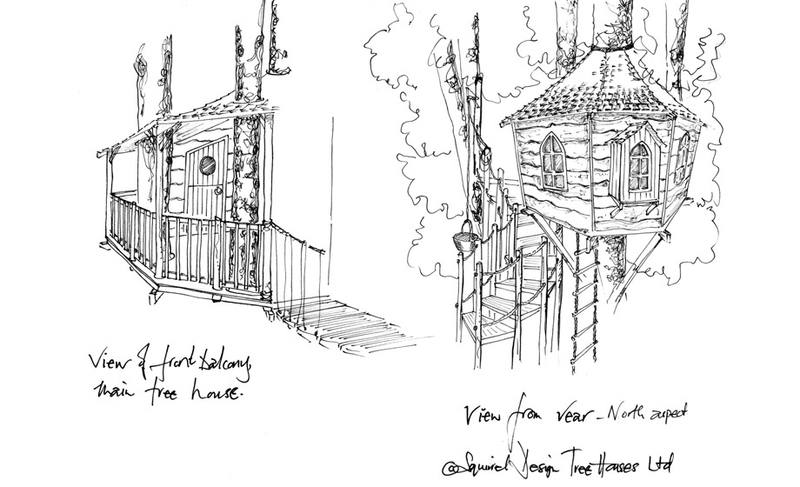 Following the design proposal stage, we helped the client through the planning process, and achieved full permission. 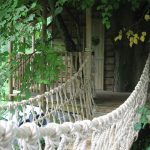 As with all projects requiring permission, 8 weeks need to be allowed from submission of the planning application.